I’ve found myself in a bit of a pickle and I’m really in need of some solid advice if anyone can please help me?? So basically in November 2017 me and my fiancé ordered a new buccaneer barracuda from a established dealer, like everyone we was very excited and couldn’t wait for it to be delivered! Especially it being our very first caravan. On march 5th 2018 the day had finally arrived for our new caravan to be delivered and so that morning we was informed from the dealer that the caravan would be delivered to us by 11am. After waiting around till about 2pm and still not heard anything we rang them to see what the hold up was and we got told there having a issue with the self levelling legs and that there running late. Eventually the caravan finally made it to us (10:30pm) and the guy very briskly set up everything as well as trying to show us how it all works but he was in such a rush we didn’t understand what he was telling us. More to the point he put a cover on the hitch and being dark we didn’t see anything. Anyway a a few months later we started to notice some issues and as you would we rang the dealer and reported it all asking for them to come and fix them. But unfortunately we was in the politest way to say it fobbed off and every time just told us to contact the manufacturer. Which we did cos the dealer was of no help at all and just wasn’t interested in anything we had to say. But when we contacted the manufacturer they told us that the dealer is the one responsible for any issues as that’s who your guarantee is with. We we found ourselves back at square one and not only did we still have the issues but now even more! It’s now at the point where it’s no longer useable!! 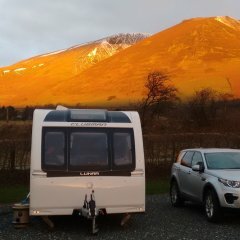 We purchased it on finance and so due to getting no response from the dealer or manufacturer we contacted them and they are trying to get to issues resolved on our behalf but due to the length of time it’s taken to get the problems resolved (which we are still waiting to be done) We now have lost all interest in the caravan and just want it gone! water leak (sewage water, it absolutely stinks), shattered hitch lock (can not be towed), self levelling legs don’t work, the tv has been fitted wonky, bed frame collapsed and the wallpaper has started to peel off. Its a complete bodge job and we had an independent mobile service company come to see the issues and they said they won’t touch it as all these issues should be resolved by the dealer. I cant emphasise how disgusting the caravan actually is and how disappointed we are with the dealers reaction! Can anyone one tell me what we can do? Are we in our complete consumer rights able to give the caravan back to the dealer and ask to end the agreement? Please please help us and tell me what you would do in this situation? I am a little puzzled as to how you know you have “sewage water” leaking (from where is it leaking, do you know?) and yet you say it cannot be towed due to a “shattered hitch lock” I would have thought that if the hitch lock is shattered it can be easily removed so you can hitch up. So have you been using the caravan on your driveway? A couple of photographs of the hitch lock might help people diagnose the problem. As the independent has pointed out your contract is indeed with the dealer and it’s them you must deal with not the manufacturer. You must give them the opportunity to rectify any faults in a reasonable space of time before you can reject the caravan. The wonky TV can be easily sorted by them and the self levelling system, which clearly had issues BEFORE you took delivery should likewise be sorted by them. 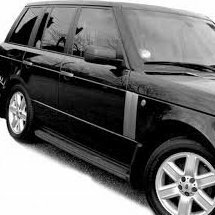 None of the issues appear to be that serious and the dealer should be able to sort them out without too much hassle. Try not to get fixated on rejecting your purchase as that’s a very drastic step to take and WILL involve you in a lot of unnecessary stress, not to mention the time it will take. I am sure it will all get sorted soon. You didn’t give any indication that you are on a seasonal pitch in your initial post! Have you actually located a leak or is there just a smell?? If you cannot find a leak then do you use the shower and or bathroom washbasin? If not it could be that there is no water in the “p” traps (that are there to prevent pongs from getting through) and the smell is coming back up through the pipes and into the caravan. Try putting the plugs in to see if that makes a difference. That exact scenario happened to me some years ago with a Motorhome. Smells came back up through the shower drain. I am still somewhat puzzled by the “shattered hitch lock” you refer to. They are designed to withstand all sorts of pretty serious attempts to remove them and I cannot see how one can be “shattered” so perhaps you could explain a bit more clearly? Or provide a photograph?? I am still somewhat puzzled by the “shattered hitch lock” you refer to. I wonder if the OP means shattered hitch? On my van it shattered when a kind helpful sole moved it without my permission without an Alko compatable tow ball. The result was a shattered casting on the Alko hitch. I’ll upload the pictures when I get home tonight. And as I said I know what your saying about the dealer but I’ve tried several times over the last 9 months to speak with them on the phone and sending email but they just completely ignore us! We rang them once and they answered we explained the issues they said we need to Talk to customer service and then put us on hold for an hour and 37 minutes!!! I fed up and tired of giving them another chance. Might be time to Talk to a solicitor, although that will, of course, cost. It’s a huge shame that the forum rules mean you cannot name and shame the dealers. Maybe social media is an option? My son reckons that’s THE best way of getting any companies attention these days. By the sounds of it you are in need of some specialist legal advice here. Do you have legal expenses cover with your home insurance as that might be a path worth exploring. I note that you have already involved the finance company, that’s good because they carry a lot of clout and, if ANY monies (over £100) were paid via a credit card (even if it was just the deposit) you have all sorts of additional rights, so if that’s the case get onto your cc company as well. Having said I would again reiterate that these problems you have are, in the great scale of SOME problems that effect caravans, fairly minor and could be easily sorted by the dealers. I do wonder just why they are being so intransigent as legally they don’t have much of a defence. So is it the tow HITCH or hitch LOCK that’s broken! The tow hitch is the cup shaped thing that fits over the top of the towing vehicles tow ball. A hitch lock does exactly that, it locks the tow hitch from engaging with the tow ball. Well now we have the report from a approved independent service centre we are hoping that black horse will take this up with the dealer on our behalf. As I can’t see how they can expect to treat a customer this way and just think in time we will forget about it. Or another thought was are they trying to buy time hoping the warranty will expire so there not responsible?? It’s the tow hitch that’s shattered. Replacing the damaged hitch is an easy fix, I've replaced one myself in the past and it only takes around half an hour. I would have thought a dealer would do it much quicker. I agree it is up to the dealer to sort it rather than yourself. I imagine that, if there is a problem with the waste pipe they should be able to sort that pretty quickly, but, as has already been pointed out, is there water in the traps to the shower and washbasin to stop stale drainage smells seeping through? As a tourer, it is designed to be regularly moved which normally disperses any stagnant water in the pipes. The self levelling issue and the peeling wallboard will, most likely, require it to be returned to the dealer for attention which is, unfortunately, quite normal for a touring caravan, as, indeed, It would be for a car with faults. Red84. "We can’t use the caravan anymore cos we can’t use any water cos it will just get worse" sounds like a plumbing leak and not water ingress. A damp test is not the way to trace a plumbing leak so I cant see the sense of that. A plumbing leak is an extremely easy thing to diagnose and repair for a competent fitter. The hitch problem is a very simple repair. As you are using the caravan, I assume the bed frame has been repaired, The wonky TV should be a simple repair. All things considered, a decent caravan fitter would have this lot sorted and be gone in half a day or so. I would get an AWS service workshop to do the work as well as a service (your annual service must now be overdue). Get your documentary evidence together and take it to court through the small claims process. 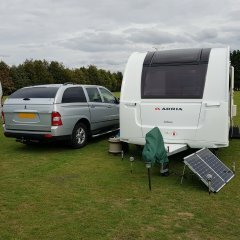 You need to get the caravan in good order and get the cost back if possible. I think you have missed the boat for rejecting it after 13 months. Red84. "We can’t use the caravan anymore cos we can’t use any water cos it will just get worse" sounds like a plumbing leak and not water ingress. There are several things that I don't understand Red. 2 Why you had a levelling system fitted if it is a permanently sited van. If you bought received the caravan on 4th March will having it serviced on 1st May actually keep the manufacturer's warranty in place? Frankly, when they didn't reply to the first 2 emails, why did you bother with any more? We had this with our new Elddis heap of junk last year and our dealer refused to talk to us. We used the legal aid cover on the house insurance straight away, and eventually got results. I'm afraid like our cowboy dealer, your dealer is ignoring you and expecting it to go away. So far he seems to be successful. I think many caravan dealers work this way and capitalise on the caravan buyers being fobbed off. Get a solicitor involved asap. Check if you have any legal aid cover on anything, if you have ring them. Pester your finance company for a resolution. If not, as has been said above go through someone like Which Legal Services. Above all, do something, don't just sit there fuming. A good start would be to record everything so far, dates, times etc with as many photographs as possible. That’s exactly how my hitch shattered when the incorrect tow ball was used. Gross incompetence there for sure. We had this with our new Elddis heap of junk last year and our dealer refused to Talk to us. We used the legal aid cover on the house insurance straight away, and eventually ﻿got results. Had the same with one of the Discover Leisure caravan dealership who took over and then destroyed a couple of dealerships local to me. The caravan was four year old and had damp. I tried unsuccessfully for about 15 days to get a call back from the management. After 10 days I grew suspicious and checked out the insurance for the extension on water ingress beyond 3 years. My money had been taken by the dealership, certificate given but insurance not placed. I am sure that that part was an oversight but one that the company was doubtless now aware of and playing hard to get. I took a drive the twenty miles to the dealership and when the service manager came in at 8.30 he found me sat at his desk with a series of demands. I told him that I was not leaving without a typed letter confirming that they would fully undertake the work within 30 days, provide a replacement insurance to start that day for the original 3 year extension, cash to cover my time and fuel, and that I would then leave and go and get my full English breakfast that would be at the company's expense. I did say that it was a shame that they had given me something to Talk about rather than simply facing up and sorting it out amicably and especially as the alternative would be played out in court with a claim for my distress added, the cost of another dealerships repair and no intention of an out of court settlement as I would have been happy for it to drag on and rack up expenses for them to meet including an engineers report and loss of use of the caravan whilst I was getting a repair elsewhere. Remember if one person has a problem they are likely to want to post their unhappiness whereas all of the happy owners tend not to post about it. So it’s important to maintain a sense of proportion. Whilst very true is still very unacceptable. There are many mass produced items that don’t exhibit the shoddy workmanship and poor design that seems to be readily accepted by many caravanners. It is, there’s a high proportion of poorly designed and poorly constructed caravans. Many people don’t report the faults on here either. By the time I bought my caravan Hymer had owned Elddis for about 9 months. Then Hymer were bought by US Thor Group.